It has been a summer for camping, sailing, bonfires and way too much indoor time because of illness. Ordering monarch caterpillars was an idea that came before kids got sick, one after another, but it has been a wonderful starting point for observation and discussion of life cycles, metamorphosis and the botany we began in the spring in grade 5. A couple of days ago, our lovely critters began to emerge; this is number four and counting. It is so exciting! We have been growing milkweed for six years or so. It all began with our wonderful friends Henry and Vivian who brought us our first monarch caterpillars in mason jars, sealed with cheese cloth. They also brought along milkweed transplants for our backyard. We were all hooked from that very first magical chrysalis rimmed with gold and the naissant butterfly that was reborn out of it. In the past two years, however, our milkweed seems to have been planted in vain. We had zero eggs or caterpillars two years ago and just one or two last summer. 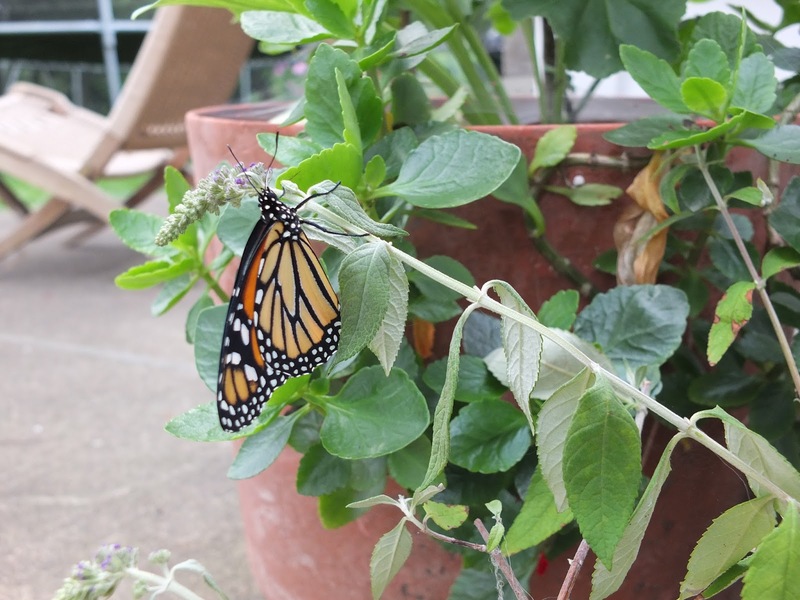 I did not exactly panic, but I do have to fight a little to keep the towering milkweed from being tidied up by some family members, and I wanted to make a difference in the restoration of these beautiful butterflies. So, this year, I ordered bugs, online, and they arrived already rather large and ready to go into chrysalis. 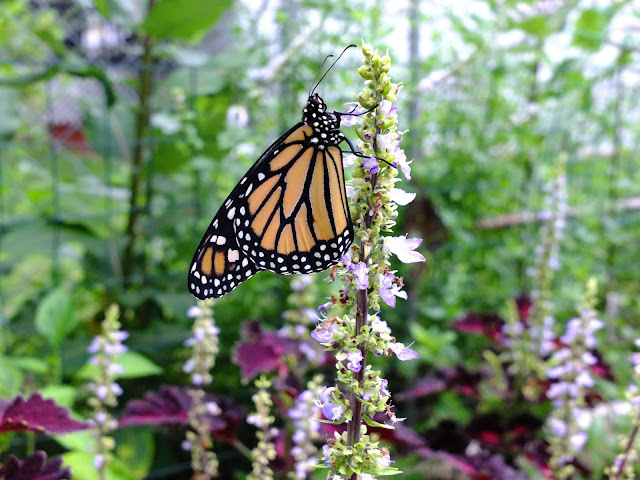 Here is where you can find the company: Butterfly Bushes. I would recommend ordering as close to home as you can, so that you can enjoy the caterpillars for longer before they go into their next stage of life. However, this company is excellent: all 20 of the beasties arrived alive and we have had almost all of them survive to chrysalis form. We will be avidly observing our milkweed for eggs that may be left on the leaves, and hoping for our next crop or two of monarchs before fall. The children are really good at spotting them and bringing them in before they can be eaten by something else. It is the right time of year to raise them, if you have a desire to do so; as late as August the milkweed is still very nourishing, after that the success rate can decline because of the dwindling power left in the plant as autumn approaches. Happy butterfly discoveries! A summer staple in Southern France. Easy to prepare, keeps well, everyone seems to like it.